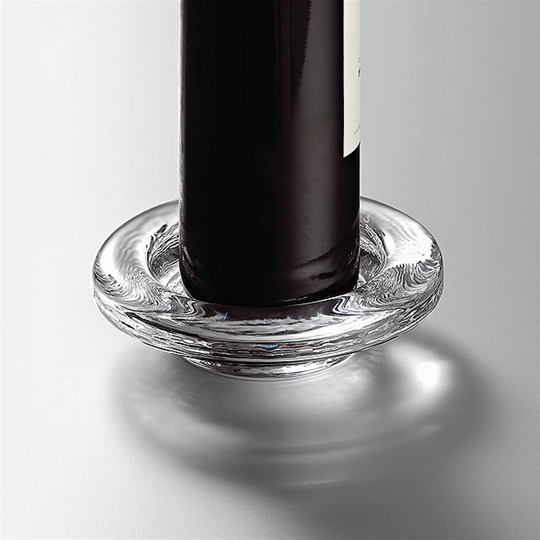 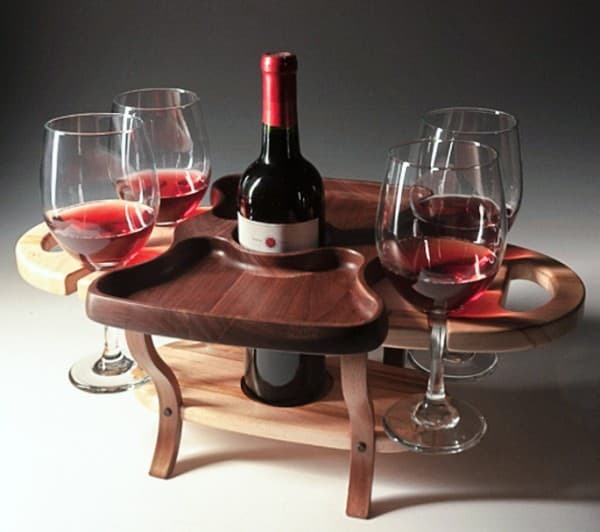 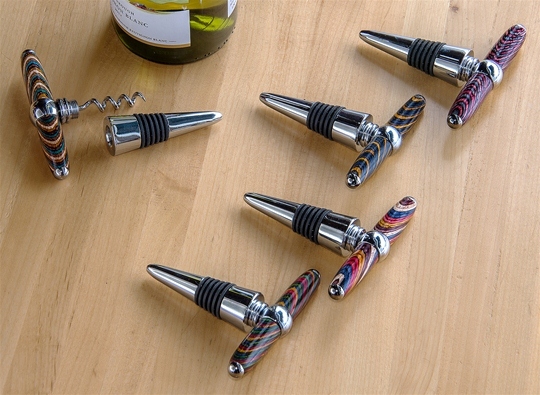 Wine glasses, bottle, and snacks all carried easily and elegantly with this ingenious wine caddy! 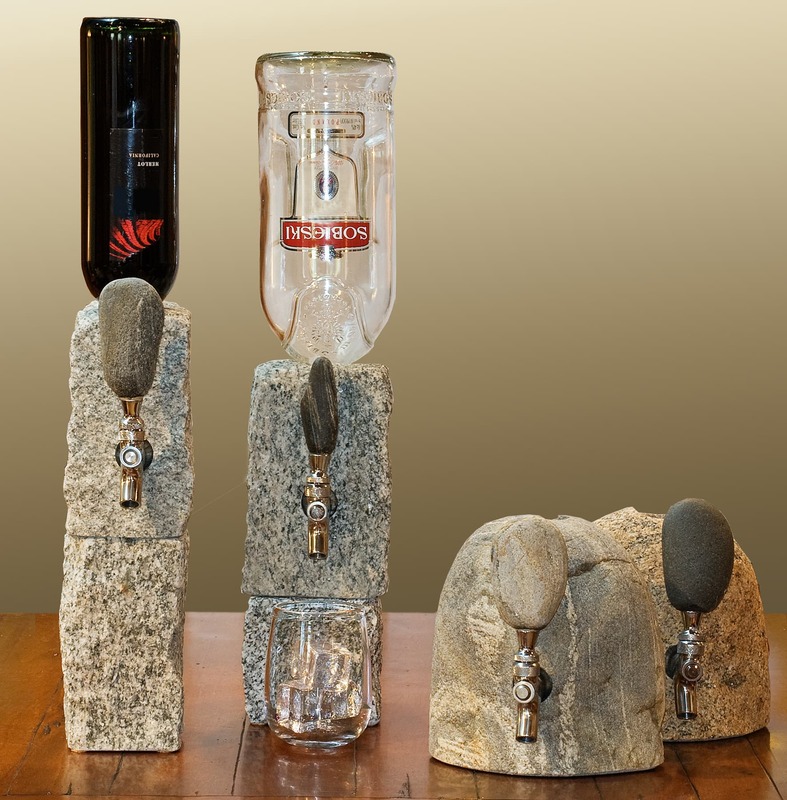 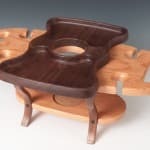 A beautiful presentation for entertaining or every day, these caddies/servers make excellent gifts. 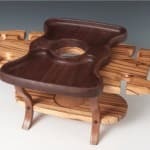 See the alternate images for more details. 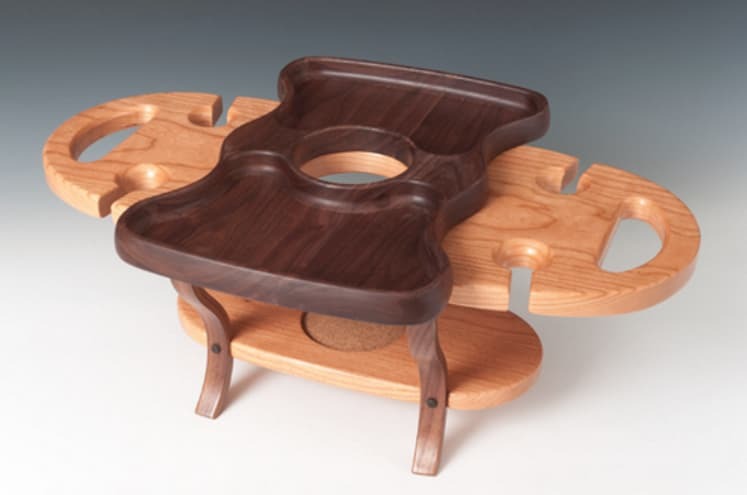 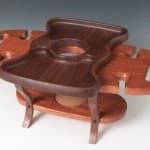 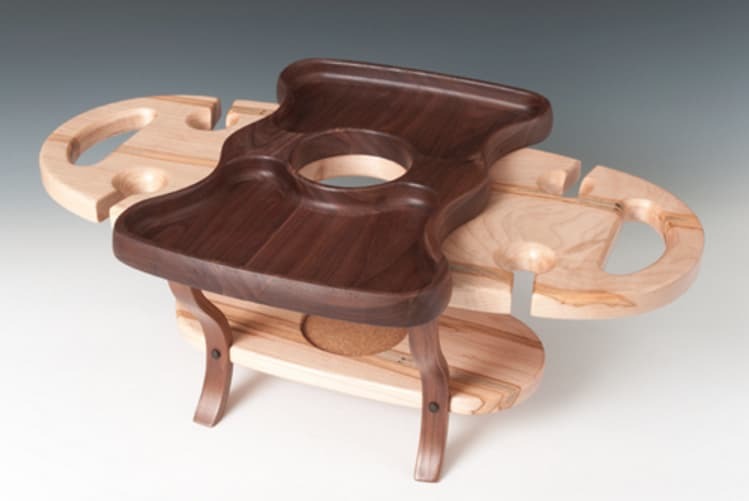 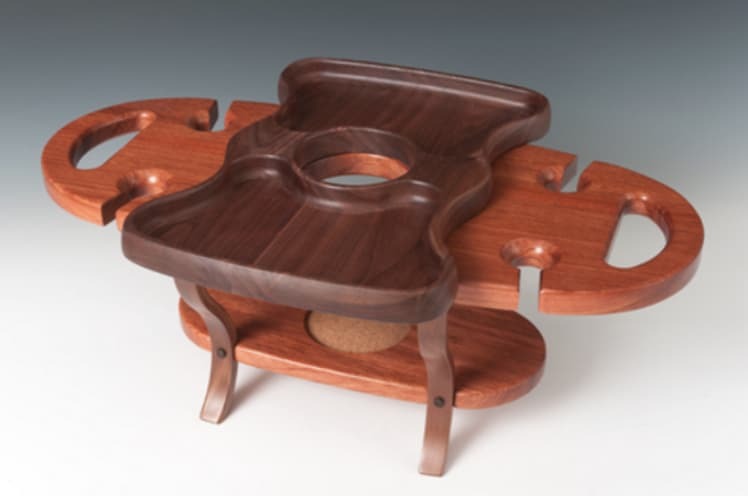 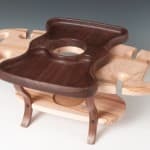 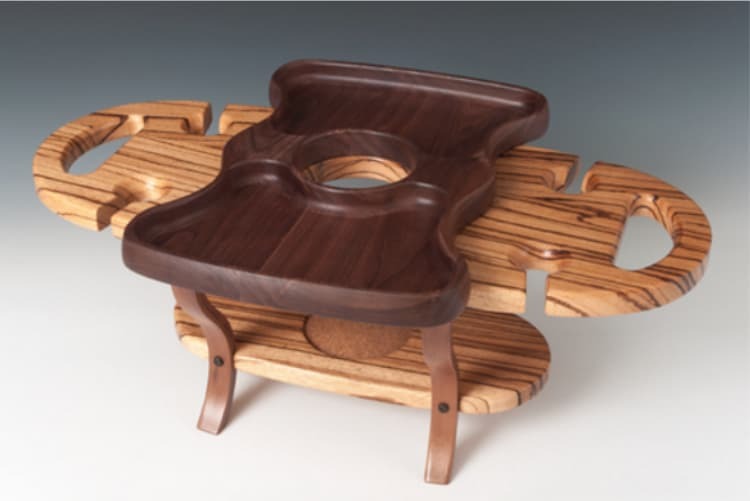 Available Woods: Each caddy includes a Black Walnut tray with food-safe finish.